The dodocool has some new deals for the Cyber Monday. There are some nice products and you could save up to 70%. 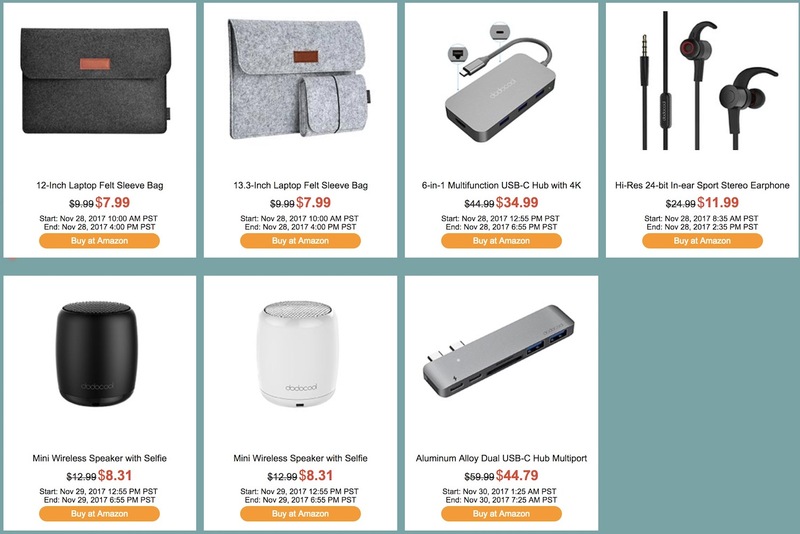 For example, you can purchase the dodocool Hi-Res 24-bit In-ear Sport Stereo Earphones at 52% discount, the Mini Wireless Speaker with Selfie at 36% off, or the Aluminum Alloy Dual USB-C Hub Multiport Adapter with Thunderbolt at 25% off. For more info on the promotion, check out their official page.